If you feel you have been treated wrongly by your creditor’s staff, you can file a complaint with the creditor. If this doesn’t resolve the issue, you can file a complaint with an independent third-party organisation. Where to best file your complain depends on the situation. Please note that most third-party organisations will only handle complaints where you have already complained in writing to the creditor and given the creditor reasonable time to correct the issue. You can file a complaint with The Financial Ombudsman Service if your debt is covered by the Consumer Credit Act. You can read more about this important act at the Consumer Credit Act page on this site. This act regulate a lot of unsecured consumer loans, including credit card debt and payday loans. CISAS is an Ofcom approved dispute resolution scheme providing adjudication for the customers of communications companies when they are unable to resolve complaints directly with the company. CISAS currently adjudicates disputes related to over 200 companies in the UK. They are companies offering services within the fields of broadband, mobile, pay TV, on-demand communication services and premium-rate communication services. Utilizing CISAS is free of charge for customers, as required by the Communications Act 2003. You can file a complain with the Ofcom approved Ombudsman Services: Communications if your complaint concerns any of the communication companies that are signed up to their scheme. You can file the complaint as a domestic consumer or as a small business. Utilizing the ombudsman service is free of charge for you. You can file a complain with the Ofgem approved Ombudsman Services: Energy if your complaint concerns a gas or electricity company in England, Wales or Scotland. You can file the complaint as a domestic consumer or as a micro business. Utilizing the ombudsman service is free of charge for you. 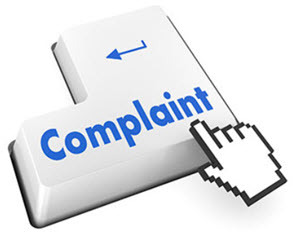 Does your complaint concern a gas or electricity company in Northern Ireland? File the complaint with The Consumer Council instead. If none of the entities above are suitable for your complaint, contact The Ombudsman Association for more information about organisations that can receive and handle your complaint. Complaints to the creditor can be made in writing, over the phone or in person. We recommend sending the creditor a written notice. You can take your time writing a letter and include everything you want to include. When talking over the phone or in person, one may be interrupted or derailed. It is easy to get drawn into an argument over irrelevant facts or be treated unfairly simply because of tone of voice or similar. You can keep a copy of your letter. This way, you know exactly what you have communicated with the creditor. If you need to take your complaint further, e.g. to any of the organisations listed above, you can include a copy of your letter to the creditor to let the organisation know exactly how you have approached the creditor. This makes it more difficult for the creditor to convincingly claim an alternative version of the events surrounding your complaint. 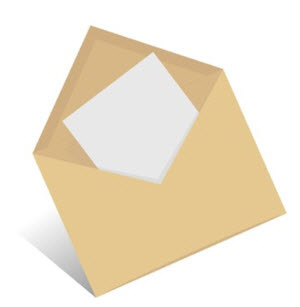 With a letter, it is possible to use recorded mail. You need to pay a fee for this, but you will have proof that your letter was received by the creditor. If you feel that you have been treated improperly, it is a good idea to write down all the details of the encounter or encounters as soon as possible while they are still fresh in your memory. With pertinent details written down, you can allow yourself some time to calm down and relax before writing the actual complaint letter. A complaint letter is more likely to result in a favourable outcome for you if it doesn’t come across as the ravings of an angry madman. If this is an ongoing situation, e.g. overly frequent calls and visits from debt collectors, make a detailed log that can be included in your letter of complaint. A detailed complaint is better than a vague one. For instance, simply stating that “Your debt collectors must stop harassing me!” is inferior to being able to provide a list of the exact dates and times that you have receive phone calls and visits from debt collectors, and the names that they have provided when asked for identification. Writing down all pertinent details and then stepping back to give yourself some time to cool off can also, if possible, give you a chance to discuss the issue with someone else and get another person’s view on the situation. Sometimes other people can provide us with valuable input abut a thorny situation, e.g. point out details from the encounters that would be good to include in the letter of complaint. What should be included in my letter of complaint? Write COMPLAINT at the top. You want to make it clear that this is a letter that should be dealt with as a formal complaint, not just “feedback”. Include clear an concise information about the wrongdoing. Try to be as specific as possible about dates, time, names, etc. You don’t need to use fancy words or legal jargon, and it is usually not a good idea to be overly stiff and bureaucratic. You are an individual who has been subjected to an unpleasant and improper experience and that should come across. Explain, in your own words, what has happened and the consequences for you. Include a concrete and reasonable suggestion about what you want the creditor to do now to rectify the situation. Otherwise you might end up with nothing but a generic apology. Ask the creditor to immediately stop any further action against you until the complaint has been processed and you have received a final answer from the creditor. Your wish might not be granted, but there is no harm in requesting it. Ask the creditor to confirm in writing that they have received your complaint. Ask for a written copy of their complaints procedure, including information about when you can expect a final answer from them. Having to wait up to eight weeks for a final answer is not unusual. Ask the creditor to only communicate with you in writing, e.g. if they need more information from you or have a final answer to give you. Just as there are advantages to sending a letter of complaint to the creditor instead of calling or visiting in person, there are advantages to receiving their replies in writing. A written letter from the creditor is proof of what the creditor has communicated with you, and a copy of this letter can be included if the you need to take your complaint further. Your name and address, and client number if you have one. If your debt has a special reference number, include this as well. This is especially important if you have several debts with the same creditor and want to avoid any confusion or conflation. Before sending your letter of complaint, ideally let someone else read it. Is your point coming across well, or is the complaint difficult to understand for someone who isn’t already familiar with the situation? If possible, let someone who doesn’t already know all the ins and outs of the issue read you letter to find out if any clarifications are necessary. The person who ends up dealing with your letter of complaint may be someone who doesn’t know much about your case except for some numbers on a computer screen. You can not assume that other countries have the same or a similar regulation as the UK. The regulation on how to make a complaint varies a lot between different countries. If you want to make a complaint you need to research the correct procedure in the country where you want to make the complaint. If you want to make a complaint in Norway then you need to visit a website such as this one to find out how to make a complain. If you are in Germany then you need to use a website such as auxmoney.com. Use Google translate if you do not speak the language.